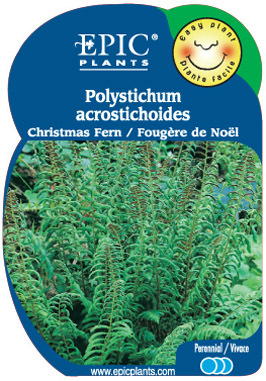 Easy fern with classic shape and leathery dark green fronds that remain decorative through December. Prefers a lime-free, humus soil. To make it easy to find a store near you, please select your Province or State, then your city or town from the boxes below that most closely matches the area where you live.